MeisterSinger is renowned for its single-hand watches but the company’s collection also include a few models with more than one hand. Even so, these timepieces are instantly recognizable as MeisterSinger products. This is the case of the Singulator that was first introduced in 2010 - in that year the watch won the Red Dot Design Award - and that it is now available with a new anthracite or cool gray dial, which underlines its technical character. 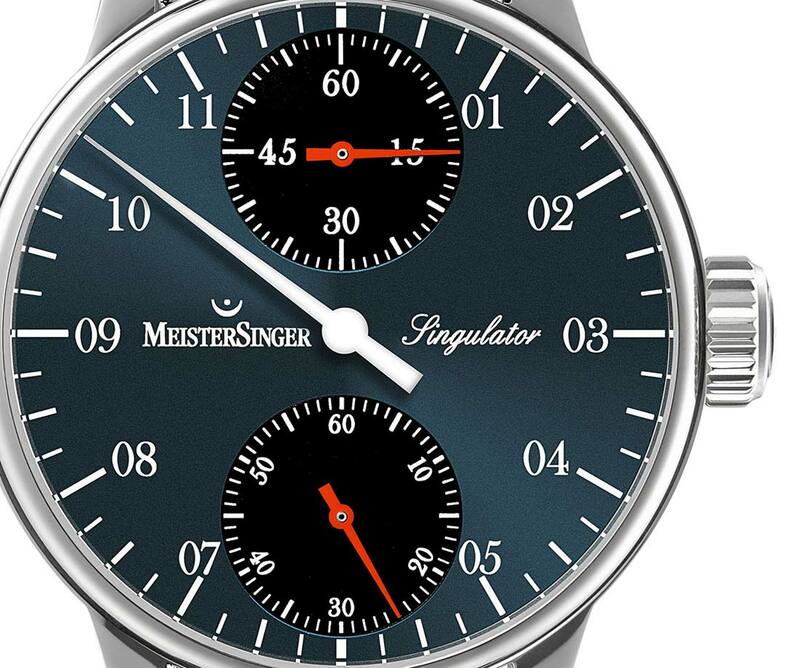 At first glance, the dial layout the Singulator is reminiscent of classic regulators but differently from traditional models where the central hand indicates the minutes with hour and second auxiliary dials, the Singulator makes the hour hand the central one, in typical MeisterSinger fashion. The MeisterSinger Singulator is actually the only regulator watch in the world to feature a central hour hand. The minute hand can be found at 12 o’clock, while the second hand is at 6 o’clock, both recognizable for their bright red colour. The white hour hand clearly stands out from the gray of the dial, whose fine sunburst finish shimmers in the light. For this particular three-part time display, the clockwork of the Swiss hand-wound calibre MS0109 (base Unitas 6498-1) had to be significantly redesigned. Housed in a masculine 43 mm x 13.3 mm stainless steel case, the movement can be viewed through the 4-screwed exhibition back. 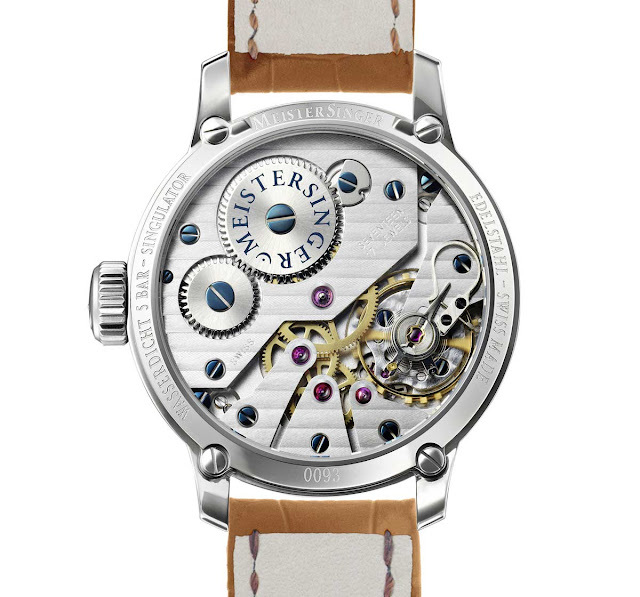 Beating at 18,000 vibrations per hour, it features a swan neck fine adjustment and it is decorated with Geneva stripes. The power reserve is 46 hours. The MeisterSinger Singulator with the new Anthracite Dial is water resistant to 50 metres / 165 feet and it can be matched to a stainless steel Milanese bracelet or to a wide choice of straps. The retail price is Euro 4,998. 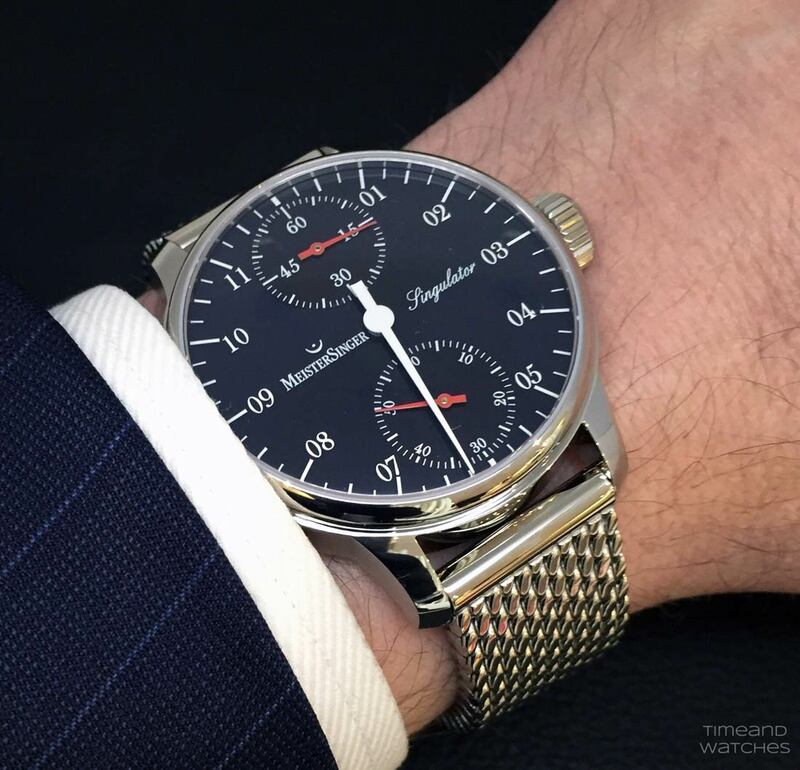 MeisterSinger Singulator with Anthracite Dial. MeisterSinger is renowned for its single-hand watches but the company’s collection also include a few models with more than one hand. 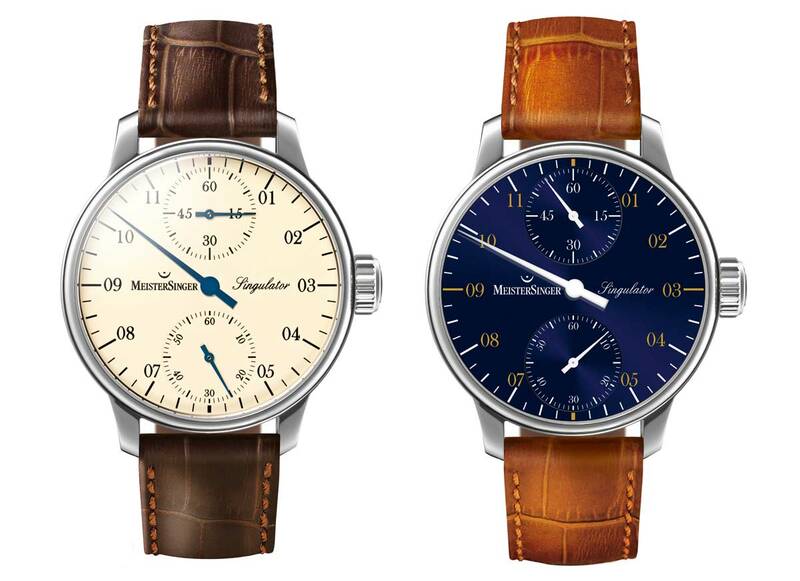 Even so, these timepieces are instantly recognizable as MeisterSinger products. This is the case of the Singulator that was first introduced in 2010 and that it is now available with a new anthracite or cool gray dial. 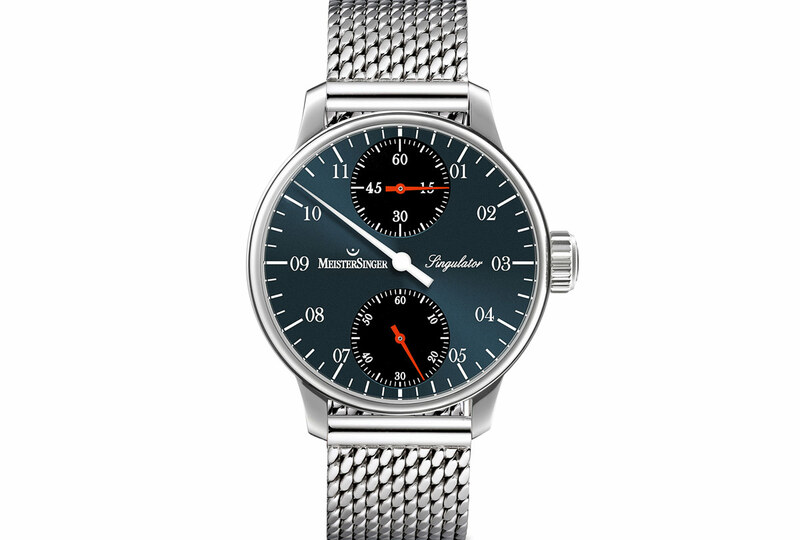 The MeisterSinger Singular has a retail price of Euro 4,998.